Samsung Galaxy Note 8 Price In Bangladesh. Samsung Galaxy Note 8 is Big and powerful.The Samsung Galaxy Note 8 is made for smartphone enthusiasts and power users. It stands out with being Samsung’s first dual-camera phone, enabling real 2x zoom and background blur effects. 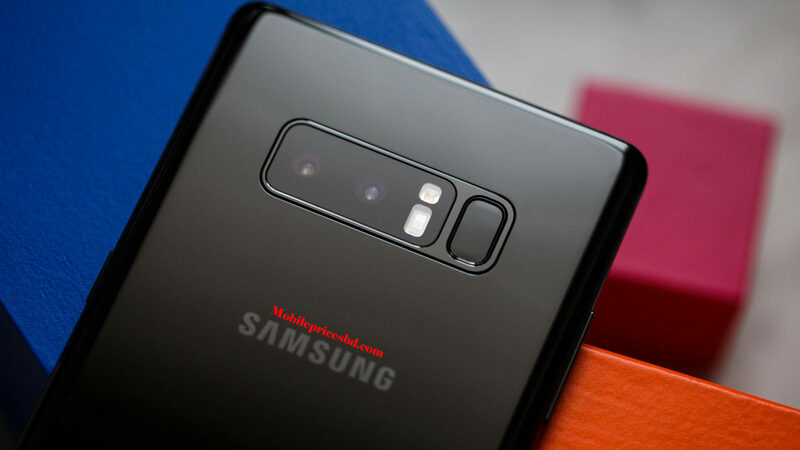 It is also the first Galaxy Note device built around the newer 18.5:9 display aspect ratio, which allows it to fit a huge, 6.3-inch display in a body not impossible to handle. The S-Pen – a trademark feature for the Note series – is now more precise and more useful with more features built around it. And no less importantly, the phone is built to higher safety standards than its predecessor.All information is collected on their website. 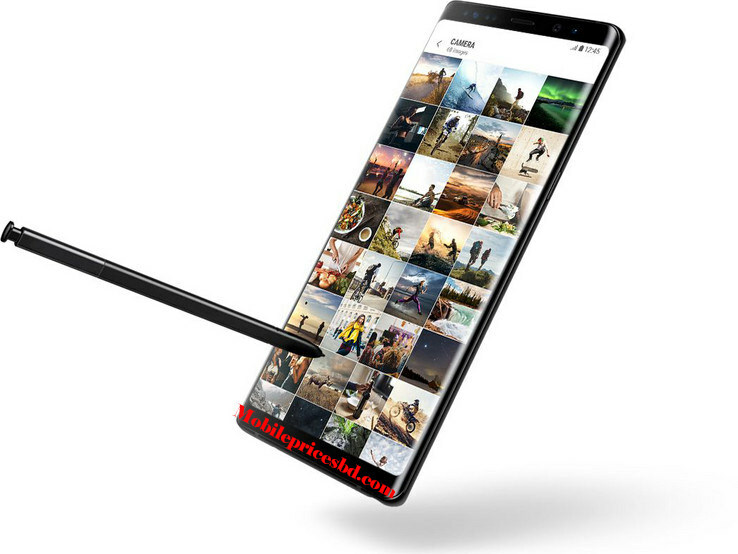 Samsung Galaxy Note 8 smartphone was launched on 23 September2017. The phone comes with a 6.3-inch 18.5:9Full-View, Super AMOLED capacitive Touchscreen display with a resolution of 1440 pixels by 2960 pixels at a PPI of 521 pixels per inch. It measures 162.5 x 74.8 x 8.6 mm (height xwidth x thickness) and weigh 195.00 grams. Samsung Galaxy Note 8 is a Single SIM (Nano-SIM) or Hybrid Dual SIM (Nano-SIM, dual stand-by) (GSM). Connectivity options include Wi-Fi, GPS, Bluetooth, 3G, and 4G. Sensors on the phone include Sensors Iris scanner, fingerprint (rear-mounted), accelerometer, gyro, proximity, compass, barometer, heart rate, SpO2. As far as the cameras are concerned, Samsung Galaxy Note 8 packs a 12+12-megapixel primary camera with LED flash on the rear and a 08-megapixel front shooter for selfies. Samsung Galaxy Note 8 is powered by Octa-Core 4X2.3 GHz ARM Cortex-A53.Cores Quantity 8. Samsung Galaxy Note 8 comes with 6GB of RAM. The phone packs 64/128GB of internal storage that can be expanded up to 256GB via a microSDcard. Samsung Galaxy Note 8 is powered by a 3300 mAh Li-Ion (Lithium Ions) non-removable battery. 08 Megapixels with (f/1.7, 25mm, 1/3.6″, 1.22 µm), autofocus, [email protected], dual video call, Auto HDR, auto face detection, face beauty, HD video rec. 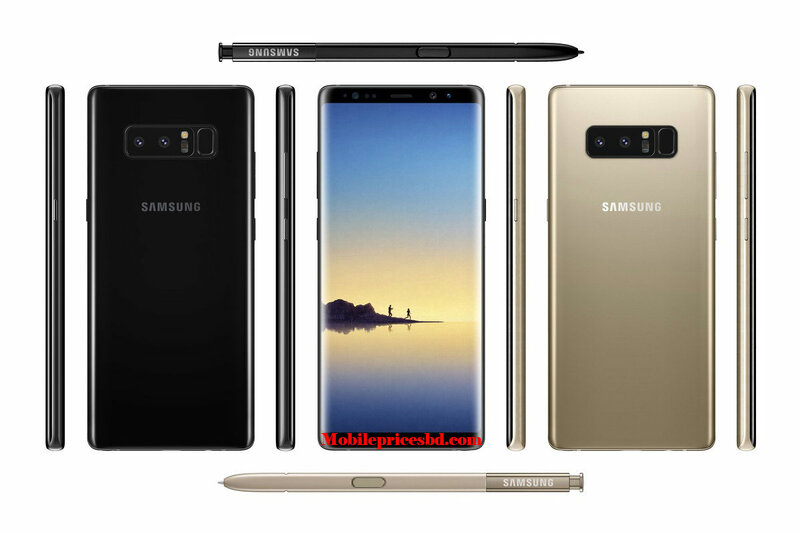 This Samsung Galaxy Note 8 is a flagship Smart Phone from Giant Samsung Electronics Company. now Samsung Galaxy Note 8 is available in Bangladesh mobile market from 13 October 2017. Mobile market are not constant. So price are ups & downs in any times . Area & marketplace also very Mobile prices. Disclaimer .wecan not guarantee that the information on this page is 100% correct.